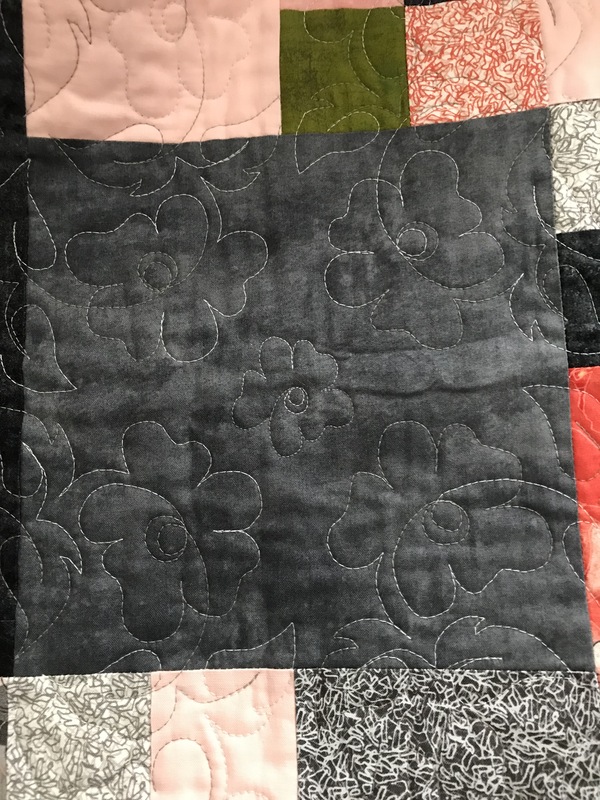 After looking at the finished quilt for a couple of days, I decided, today, to fill in the slightly large unquilted corner where the four embroideries came together. You can see what I did in the photo – I’d set up an embroidery of a single scaled down flower from the original design and stitched in the center of that space. I did all 35 of them although this is really the only one where it actually shows. The other locations were at the junction of 2-4 blocks, or within the large bordered blocks and aren’t as obvious. Nevertheless, I’m happier with the quilting being more uniform throughout the quilt. Love the flower design. Still in New York no baby yet!